Growing up you are always asked the question, “What do you want to be when you’re older?” When it came to my answer, I was never fully certain but I knew I wanted to do something with sports. I have always been an avid sports fan and it’s a true passion of mine. When I came to Penn State, I couldn’t think of a better school to help me get involved with this career route. I immediately started working for the football team and my passion grew even stronger. But then, something went wrong. So, what’s the problem you may be asking yourself? When it came time to apply for summer internships I applied for as many sports positions as possible. I tried looking everywhere from soccer to football, east coast and west coast. Unfortunately, I had no luck. It was extremely discouraging and made me re-think my high aspirations for the sports field. I usually try to believe if something isn’t going your way and you keep getting bad luck, good luck is bound to come your way eventually. And I was right; it eventually did! After being turned down by so many internships, I finally found a posting online for Johnson & Johnson. I was never that interested in corporate PR, but I figured you should never say never. After applying and going through the interview process, I finally landed a summer internship with Johnson and Johnson’s public relations department for consumer products. Although it is a completely different field than I envisioned for myself, I absolutely LOVE it. I started my internship a little bit later than most people, but I have learned so much. I was able to work with all the brands such as Aveeno, ROC, Lubriderm and Clean & Clear. Although I was located in Skillman, New Jersey, I got to travel into New York City many times to see how they put together the Aveeno commercial for 2014. Talk about amazing brainstorming! I also was able to work with a variety of people from many departments like marketing, finance and research & development. 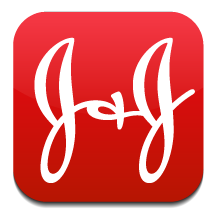 J & J also organized an Intern Agency Day for all of the interns. As a group, we traveled to New York City where we took a tour of Edelman and Porter Novelli. It was my favorite part of the summer. As anyone in PR knows, touring Edelman is a dream come true. During the entire day I was able to get a taste of agency life. Not only did I really enjoy corporate PR, I also had a new interest in something else as well. I started off my summer dreaming of sports, with no interest in anything else. I will always believe everything happens for a reason and you should never say never when it comes to new things. You just might not realize there’s more out there. I hope to continue a path in corporate PR and definitely with Johnson and Johnson.